No, this is not me. 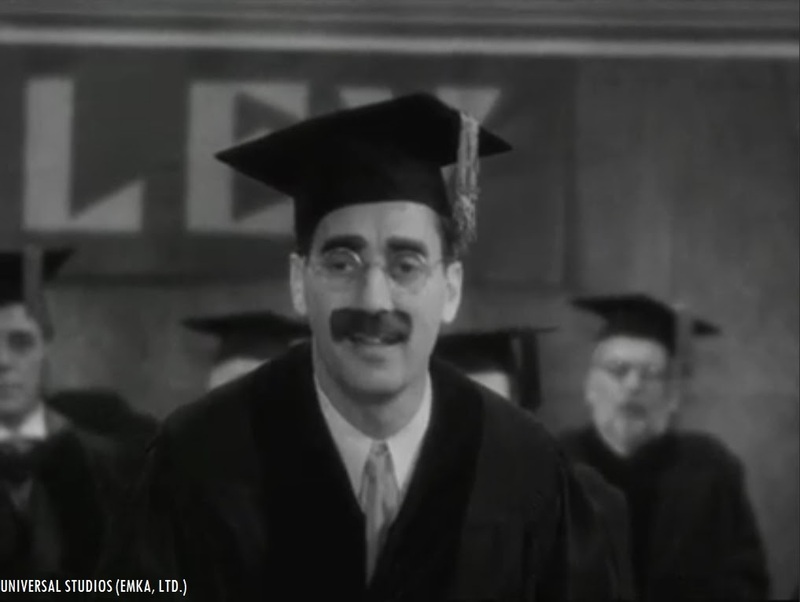 This is Groucho Marx, as Professor Quincy Adams Wagstaff in the classic 1932 Marx Brothers comedy, “Horse Feathers” (originally released by Paramount Pictures). This upcoming Mon., Aug. 24, your mild-mannered blog creator and writer of “Silver Screen Reflections” will return to Hood College for the final semester. It would be a great idea to blend in a mix of vintage cult and definitive classic features, to complement the college’s “Blockbuster Movie Series.” The management of this blog would guarantee that one screening of a vintage film on campus would be entertaining to all fellow students of Hood that enjoy cinema entertainment. In conclusion, the addition of cult/classic cinema flicks to Hood’s “Blockbuster Movie Showcase” would be a great stress reliever from all of the chaos of schoolwork. It would be a fun and exciting experience! To my fellow friends of the Matinee (who are returning to Hood or any other college)- Let’s make this semester an exciting one! Be on the lookout for future cult/classic cinema posts during the semester! Fans of MST3K, RiffTrax and Toho Japanese monster films will be in for a treat as one of the classic kaiju flicks will be riffed. RiffTrax, in conjunction with Fathom Events and Columbia Pictures will present a special RiffTrax Live presentation of the 1961 Japanese monster film, “Mothra.” It will be showcased in select cinema venues from coast-to-coast on Thurs., Aug. 18 at 8 p.m. (with an encore presentation on Tue., Aug. 23 at 7:30 p.m.) Eastern. 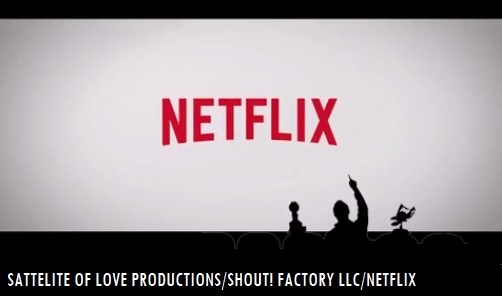 Featuring veteran riffers and MST3K alums Michael Nelson, Kevin Murphy and Bill Corbett, the RiffTrax crew will be riffing “Mothra” from the Belcourt Theatre in Nashville, Tennessee, which will be broadcast to participating cinema complexes throughout the nation. 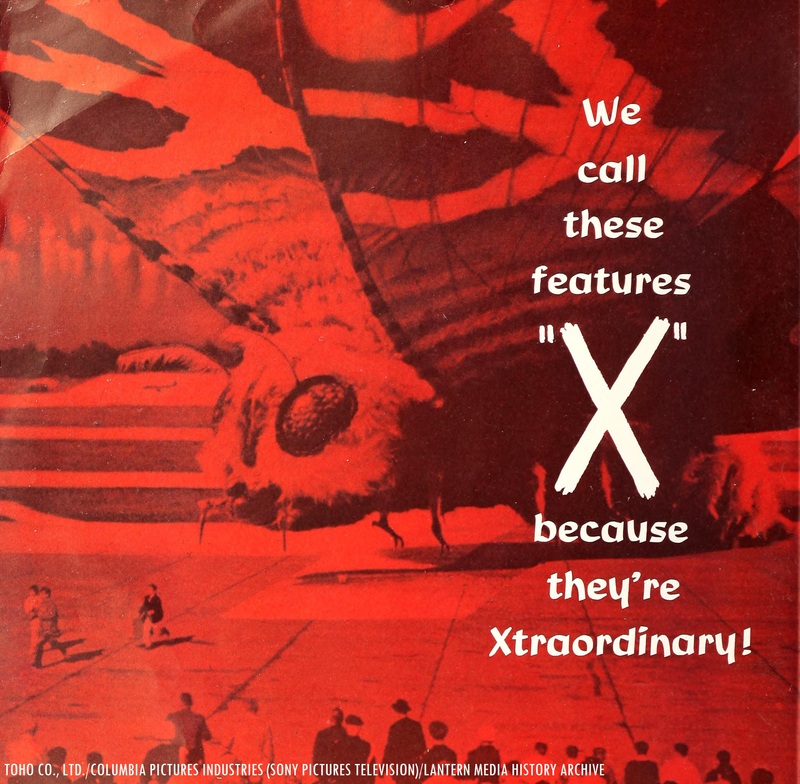 According to a recent press release on the upcoming RiffTrax event, “Mothra” has been one of many top films that have been on the crew’s list for riffing. The film features actors Frankie Sakai, Hiroshi Koizumi, Kyoko Kagawa, Jerry Ito (whose name was misspelled as “Jelly Ito” in the opening credits of the film), Emi Ito, Yuri Ito (while the two aforementioned actresses have no connection to Jerry Ito, they were a popular Japanese singing duo, who performed under the name of “The Peanuts”), Masamitsu Tayama and Takashi Shimura. Columbia Pictures picked up the American distribution rights to the Toho film and released it to theaters in 1962. It was dubbed in English for American audiences. 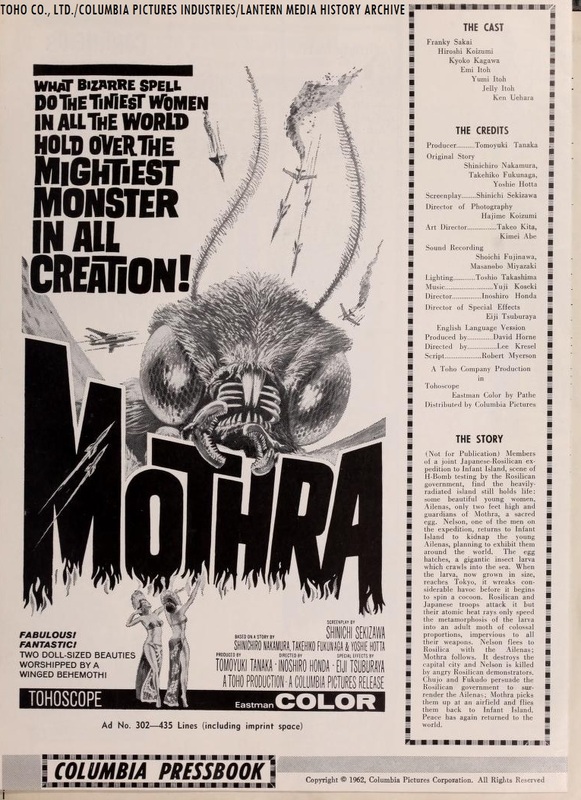 If you’re a fan of RiffTrax, MST3K or vintage Japanese monster films, this is the perfect opportunity to see a “riffed” version of Mothra, through the courtesy of RiffTrax and Michael J. Nelson, Kevin Murphy and Bill Corbett. Sidenote: The RiffTrax presentation of “Mothra” was first announced during the coming attractions slideshow for other Fathom Events screenings. This took place during the showing of “RIffTrax Live: MST3K Reunion Show” back in June at Regal’s Germantown 14 cineplex. Several audience members were excited about the upcoming RiffTrax presentation of “Mothra,” and sung the “Mothra Chant” (in the style in which “The Peanuts” sang in the 1961 film)! Broadcast live in select theaters nationwide on Thurs., Aug. 18 at 8:00 p.m. (with an encore presentation on Tue., Aug. 23 at 7:30 p.m.) Eastern Standard Time. 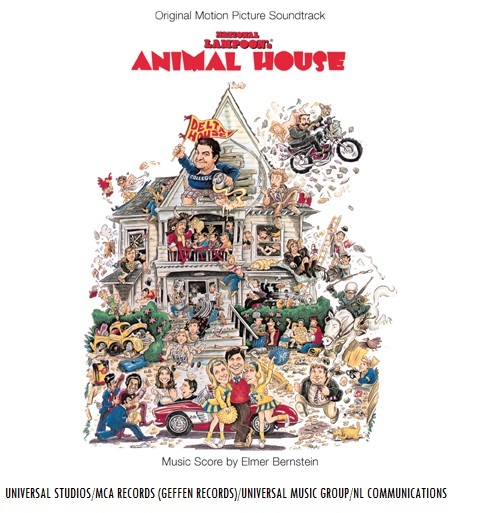 Universal Studios, in conjunction with Turner Classic Movies and Fathom Events will present the nationwide revival screening of National Lampoon’s “Animal House” in select theaters on Sun., Aug. 14, with an encore presentation on Wed., Aug. 17 at 2 p.m. and 7 p.m. Eastern. The film was directed by John Landis and was produced by Matty Simons and Ivan Reitman. It was written by Harold Ramis, Douglas Kenney and Chris Miller. National Lampoon’s “Animal House” features John Belushi, Tim Matheson, Donald Sutherland, Bruce McGill, Tom Hulce, Peter Riegert, Stephen Furst, James Widdoes, DeWayne Jessie, Karen Allen, John Vernon, Verna Bloom, Cesare Danova and a young Kevin Bacon. National Lampoon’s “Animal House” became a smash hit when it was released to cinemas in July 1978. Because of the film’s popular demand from audiences and cinema exhibitors across the nation, Universal re-released the film one year later (according to IMDB). Landis’ film won the 1979 People’s Choice Award under the category of “favorite non-musical motion picture.” It was added to the Library of Congress’ National Film Registry in 2001. According to an advertisement in The News-Post archival database at Hood College, the film was shown in the Frederick area at the now-defunct Frederick Drive-In theater on Jefferson Pike in 1979. The drive-in was a sister outdoor cinema venue to Holiday Cinemas at the time. 38 years after it was released in theaters, National Lampoon’s “Animal House” is still hilarious with today’s modern audiences. It is the perfect rib-tickling comedy farce to see before heading back to college, by watching the Delta fraternity outwit Dean Wormer and the Omega fraternity. You will not be disappointed! 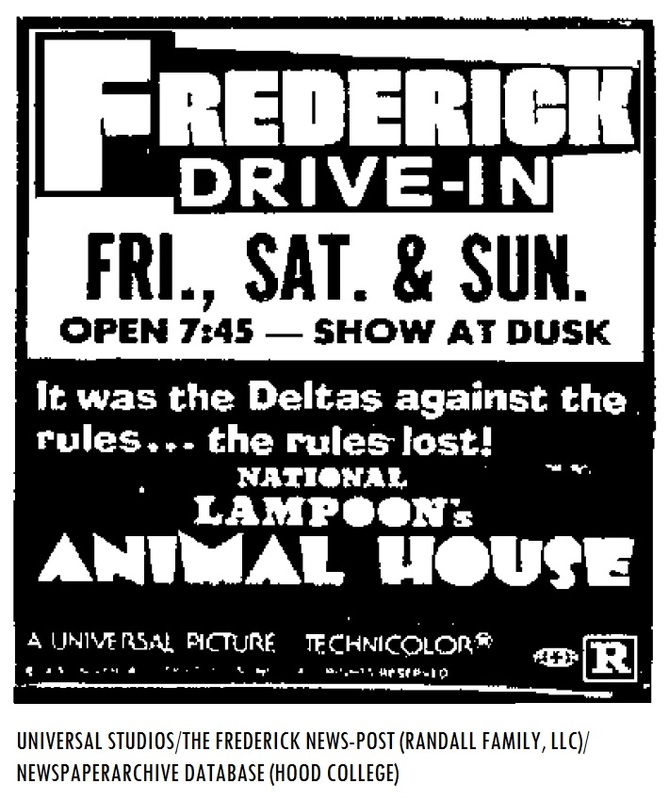 Yet again, the Frederick area will miss out the revival screening of National Lampoon’s “Animal House” (according to Fathom Events’ list of cinema venues that will be participating in the event). Sun., Aug. 14, and Wed., Aug. 17 (Encore Presentation) at 2 p.m. and 7 p.m.
Questions/Comments about National Lampoon’s “Animal House?” Drop a line at the comments section!